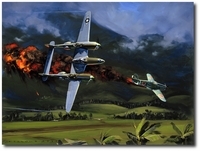 Jack’s career as a practicing professional artist spans a period of over thirty-five years, both as a commercial artist and a fine art painter. 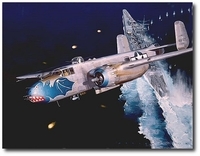 His intense interest in the history of the air war in the Pacific led to his origination of the Cactus Air Force Art Project, dedicated to the collecting and archiving of historical data relating to that period. 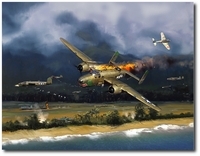 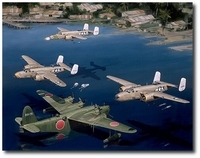 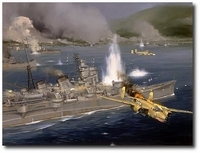 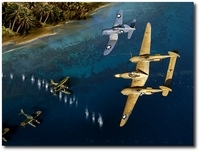 Most of his work today illustrates military aviation in the Pacific. 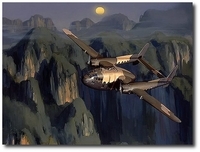 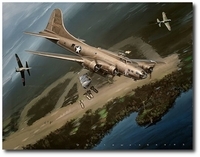 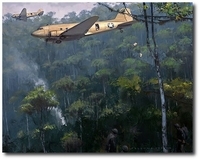 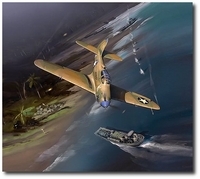 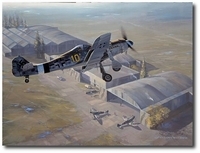 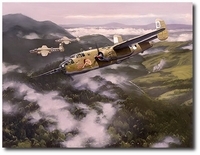 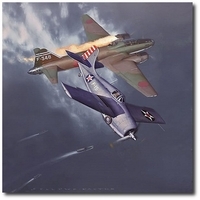 “Jack is, in my opinion, the foremost artist in the world doing Pacific WWII aviation art.”…Larry J. Hickey, Pres. 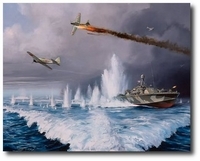 International Research & Publishing Corp, Dec. 16, 2003. 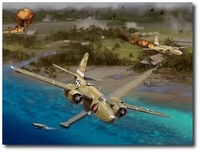 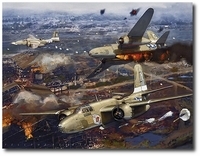 "Bloody Tuesday... Rabaul, 2 November, 1943"
"405th Bomb Squadron Mission to Dagua"
"The Honolulu Clipper - Pacific Pioneer"
"The Last Flight of Yellow 10"
"Liberator! 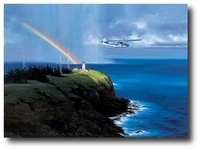 (Crusader in the Valley)"
"The Light at Kilauea Point"
"Lightning Strike.... 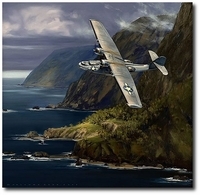 The Edge of the Storm"
"Linebacker II..... 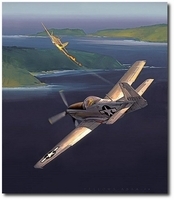 The High Road to Hanoi"
"Mission to Iwo Jima - 15 June, 1944"
"Mustang! 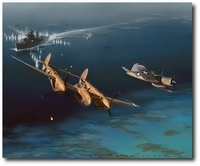 - The Checkertail Clan"
"Ordeal of the USS Houston"
"Precision Bombing in the Upper Faria River Valley"
"Stemming the Tide at Sanananda Point"
"Strafer - Mission to Kavieng"